A cozy small Lodge in the heart of new center of Chiang Mai. 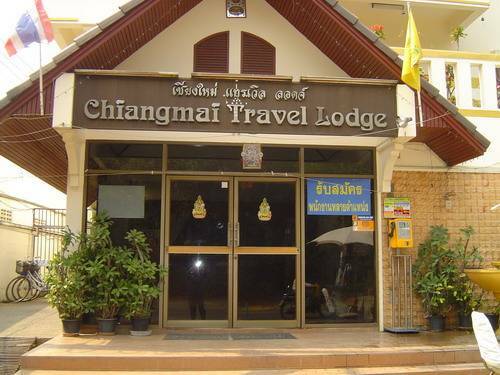 Close to Chiang Mai Night Market, Warorot, Chinese Market, Post office and many Banks around. 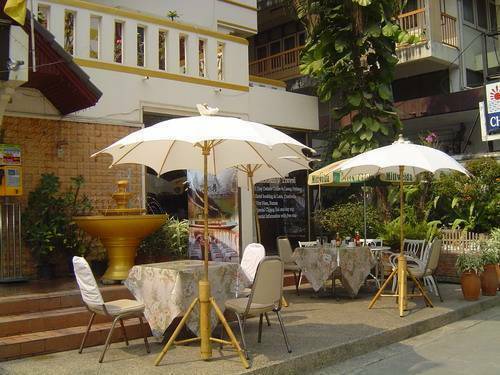 Enjoy delicious Thai food at our restaurant with special cool drinks and fruit shakes. Room includes both air conditioning or fan with ensuite western hot/cold shower and toilet, cable TV. We offer trekking, cooking school, day tours and sightseeing. Travel information and included services free. Our new trip to Laos is very well known. We are registered with the Tourism Authority of Thailand (TAT) and our Adventure company is also registered with TAT. We have both Fan room and Air -conditions. Single, Twin, Double and Triple room. 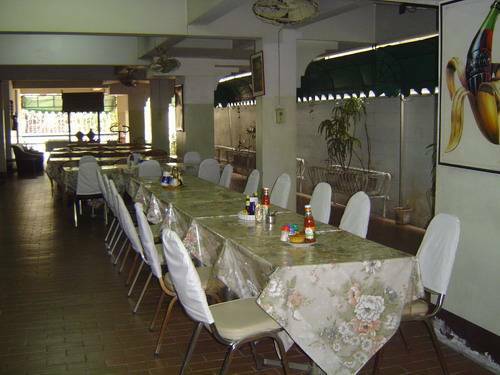 10 rooms with Fan on the forth floor with hot shower, private bath room, Cable TV. 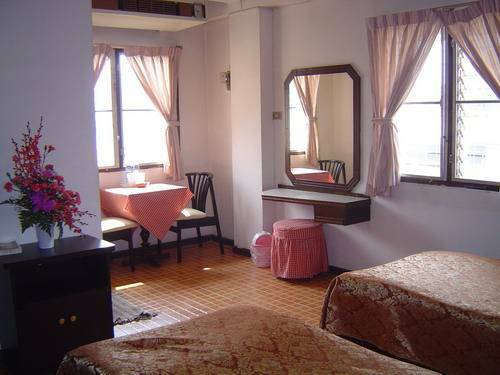 30 rooms with Air-conditioned with hot shower, private bath room, Cable TV. In the new center of town, nearby night market. Serve easy thai food, resonable price. Get the 'red taxi' across The Ping river to Thapae road, then turn left to Kampaengdin , will see a bright Golden building with a big sign of Chiang Mai travel Lodge ( 10 minutes ) or ask the red local transport or Tuk Tuk Driver, they all know our place.